When I was growing up my parents had a thing for stained glass windows. 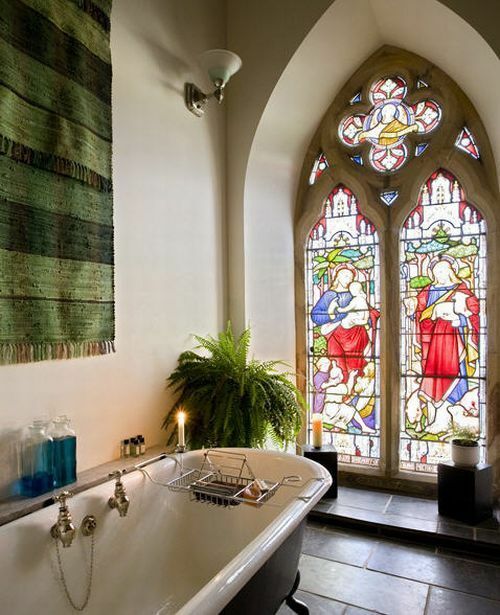 When we visited Europe one of the big things was to go to the Castles and churches and take photos of the stained glasses windows. 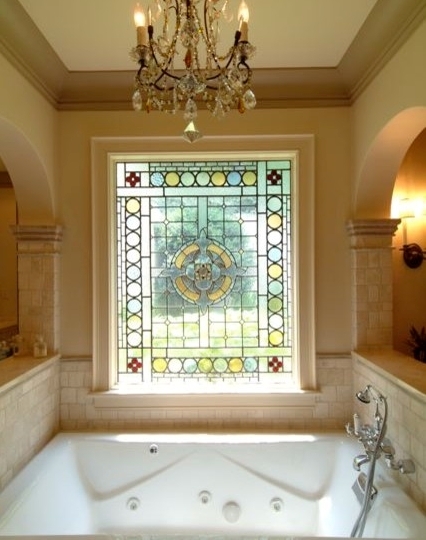 I wasn`t that excited about it myself, but now that I`ve gotten older, I can appreciate all the work and craft that goes into creating one of these. you tons of privacy and still lets in alot of light. 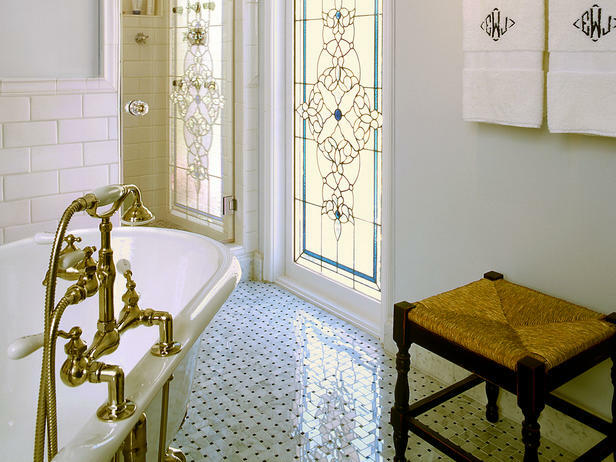 Not only does the stain glass allow you to use big windows or doors in the bathroom without sacrificing on privacy, but they can be the show stopping statement piece of the bathroom and really make your bathroom look unique. 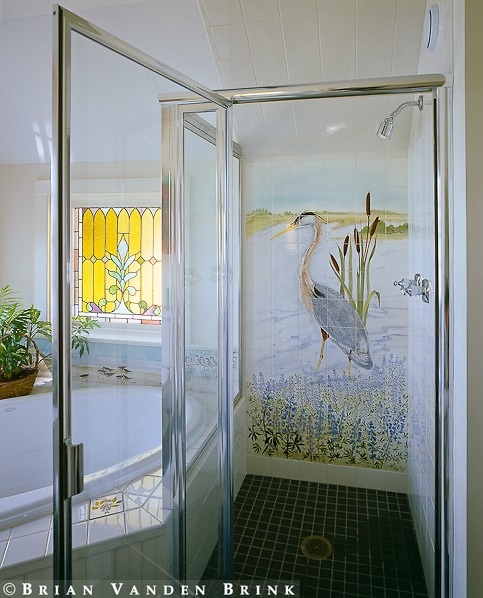 Not sure which I like more in the next picture, the pretty stork mural in the shower or the colours of the stained glass window over the tub. 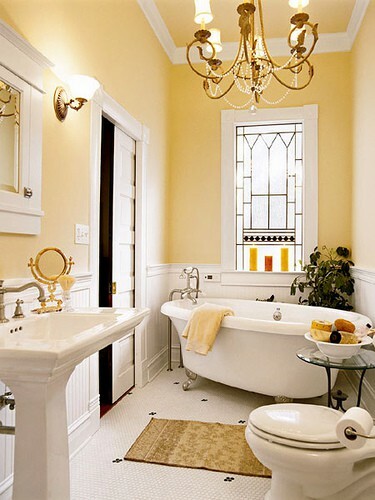 Looks like a very happy bathroom. 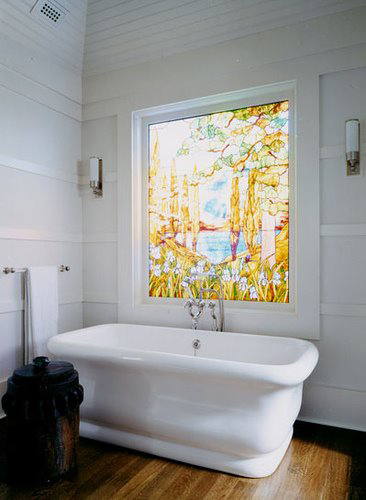 I thought this was a great idea: a stained glass sliding panel. 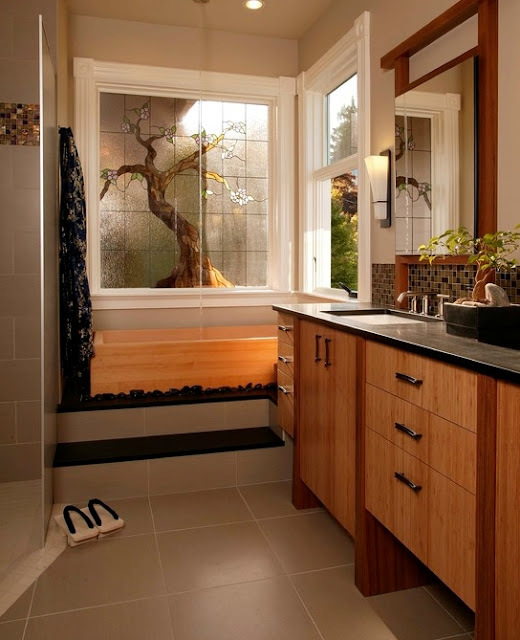 When you are taking your shower you can have privacy and later when you are putting on your makeup you can slide the stain glass aside to let more light into your bathroom. 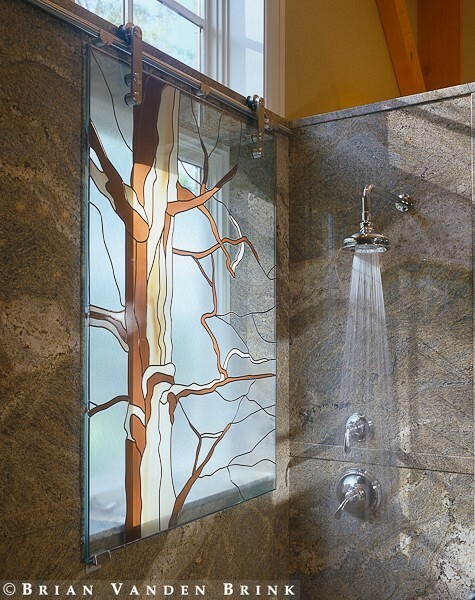 Such a smart idea. 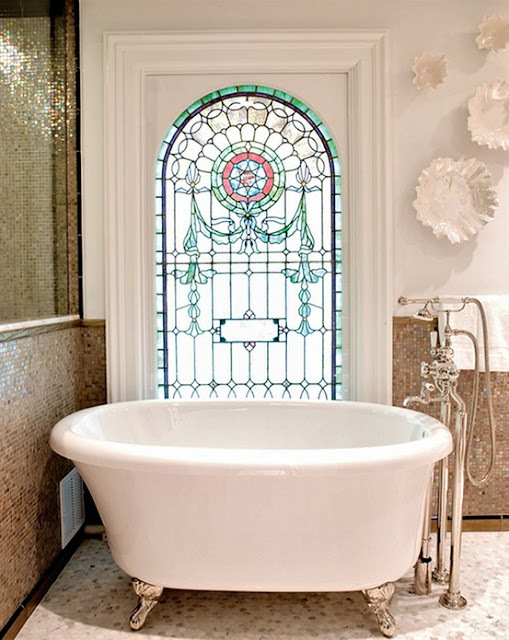 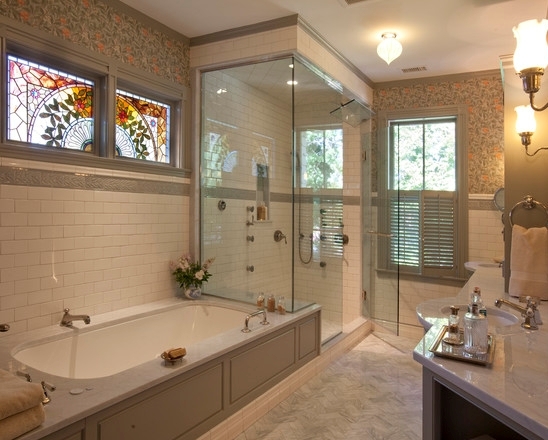 Would you put a stained glass window in your bathroom?